Dr. Randi Martin is the Elma Schneider Professor in the Department of Psychology at Rice University and an Adjunct Professor of Otorhinolaryngology and Communicative Science at Baylor College of Medicine. She received her Master’s Degree and PhD in Psychology from Johns Hopkins University. Randi served as a Visiting Lecturer at the University of California, Santa Cruz and an Associate Research Scientist at Johns Hopkins University before joining the faculty at Rice. She has received many honors and awards during her career, including being named a Fellow of the American Psychological Association, a Fellow of the American Psychological Society, a Fellow of the American Association for the Advancement of Science, as well as election to the Society of Experimental Psychologists. Randi is with us today to tell us all about her journey through life and science. Randi revealed that she is quite the dancer when she’s not hard at work in the lab. She and her husband go out to to dance country western, swing, salsa, ballroom, and other styles. However, she also enjoys a quiet evening with a good mystery novel. Randi is a cognitive neuroscientist. In particular, her lab studies how the brain carries out language and memory functions. To do this, they work with people who have had damage to specific areas in the brain (a stroke, for example) to see what abilities are affected and unaffected. This allows them to map problems in language and memory function to the specific areas of the brain that have been injured. Her fascination with science can be traced all the way back to third grade. In response to the launch of Sputnik, there was a renewed emphasis on encouraging U.S. students to pursue careers in science. Randi had the opportunity to go on special field trips to the beach and mountains in Oregon to learn about marine life and geology. She loved these field trips, but also really liked the session they did on breaking codes. After getting her PhD at Johns Hopkins, Randi struggled to get an academic position. The academic job market wasn’t great at the time, and the only thing she was able to find was a one year position that included a lot of teaching and very little time for research. Randi was feeling really uncertain about her career prospects, and her situation was further complicated by the need to find academic jobs for both her and her husband. Randi is excited about a large grant she and her collaborators at Rice University have been awarded to build out a new lab on campus to study neural plasticity. They got a large, beautiful lab space in a building that houses an interdisciplinary group of other labs. She is also thrilled about the new equipment that will allow them to study event-related potentials and transcranial magnetic stimulation. One of the most memorable travel opportunities for Randi was a small conference held at Lake Como in Italy. The conference was in a palace on a hill overlooking the lake, and it was a stunning place. This was early in her career, and she was delighted to have the opportunity to get to know some of the big names in her field with great discussions over multi-course Italian meals. Randi’s lab celebrates the birthdays of all the graduate and undergraduates students in the lab. They have a twist on their tradition though because it is the responsibility of the birthday person to bring in a cake or dessert for the celebration. This way, they can have exactly what they want, and it takes out the stress of trying to keep track of everyone’s birthdays. Just hang in there and keep trying in the face of rejection. 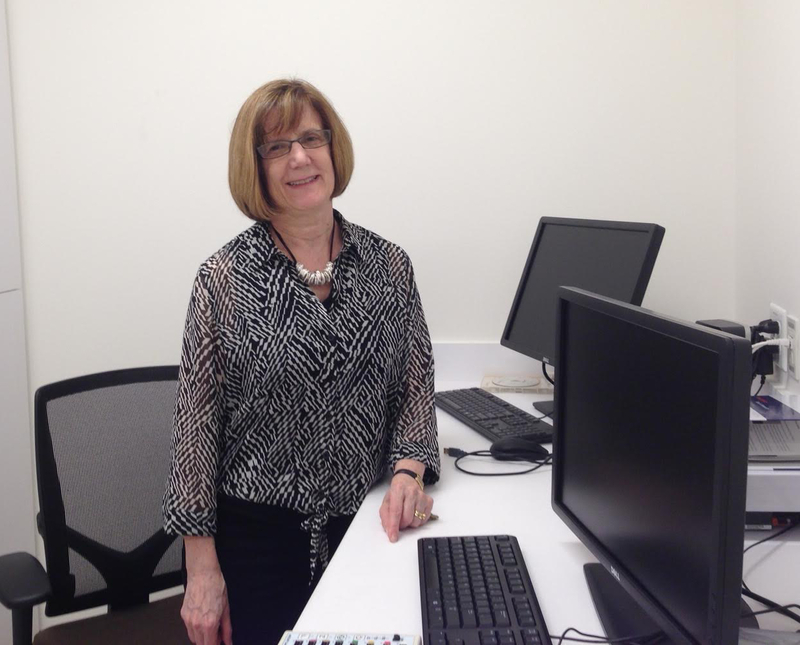 Randi’s major research interests are in the psychology and neuropsychology of language. One interest of her lab is the nature of verbal short-term memory and its role in language comprehension and production and in long-term learning. The basic premise being investigated is that there are separable phonological and semantic contributions to short-term memory which play differing roles in sentence comprehension and production. With regard to long-term learning, it is hypothesized that the short-term retention of phonological information is necessary for the development of a long-term memory representation for new phonological forms (i.e., new words) whereas the short-term retention of semantic information is necessary for the long-term learning of new lexical-semantic representations. A new direction in this research is relating basic cognitive processes of inhibition, set-shifting and updating to short-term memory patterns. She hypothesizes that patients who show a deficit in retaining semantic information in short-term memory have difficulty inhibiting irrelevant semantic information.